﻿ I really liked the training!I really liked the schedule of the week’s training! Since I was young, I've always loved martial arts movies, especially Jackie Chan's old kung fu flicks like Drunken Master and Snake in the Eagle's Shadow. 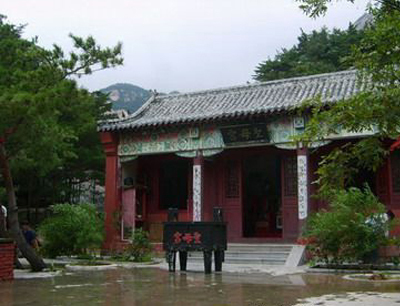 As such, the image of training in a Chinese kung fu school has been burned into my imagination, and I came to Kunyushan Kung Fu School to live that childhood dream. 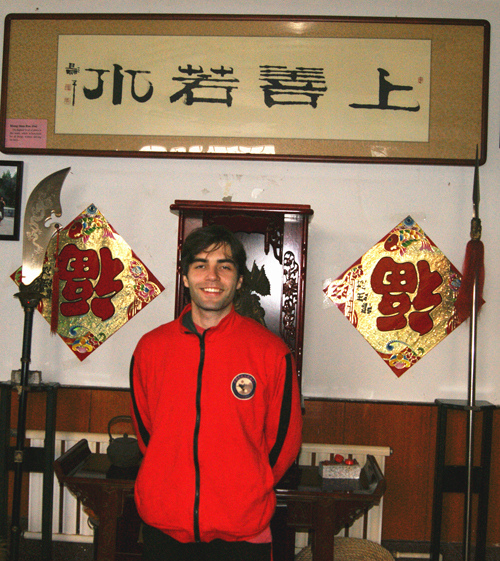 In truth, one month is too short to master a lot of kungfu, nevertheless I've made many gains. 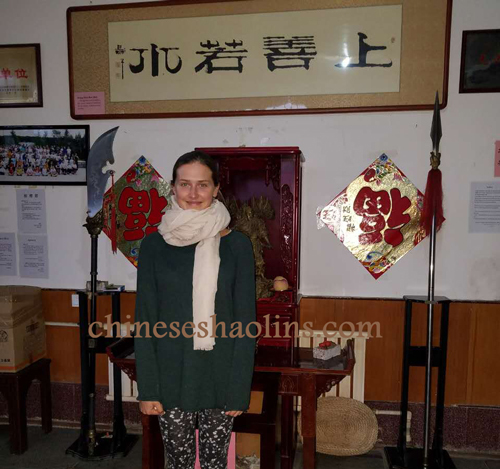 My overall fitness level is improved, I have a better idea about what the various kung fu styles involve and of course I got to experience Chinese culture first hand. 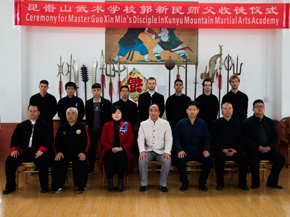 The Kunyu Mountain Kung Fu school runs on a weekly schedule, determined by which style you've decided to study and which group you're placed in. 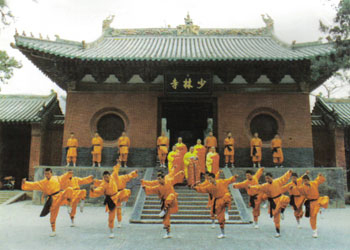 As part of Master Sun's Shaolin group, I had classes for Shaolin Basics Sanda (Chinese kickboxing), Acrobatics, Forms, Conditioning, Stretching and Weight training. 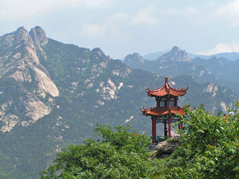 On Friday is optional sparring and a run up the mountain. The first two weeks were really tough and my muscles were constantly sore as my body adapted to training every day, but after that things got a little easier. 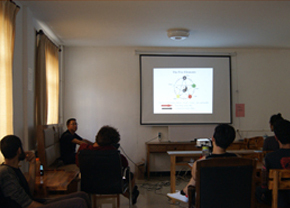 Accommodations and food is provided by the academy. Considering that classes, food and boarding are all included in the fee, it's very reasonable. It’s a beautiful area. 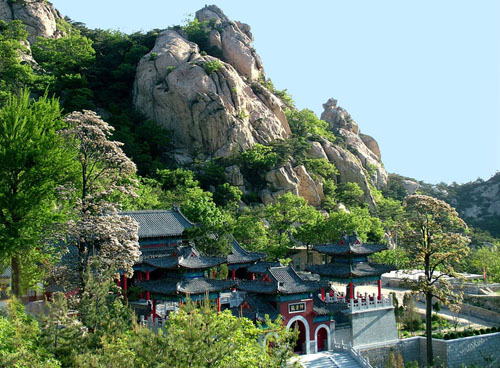 In particular, I really loved the nearby nature-reserve/mountain where we sometimes did Taoism classes. 1）I started to do Kung Fu 3 years ago, I wanted to get better& improve physically and mentally. And experience, learn something nobody could take away from me. I wanted to go away from home on my own to get more distance from the distractions of western life. 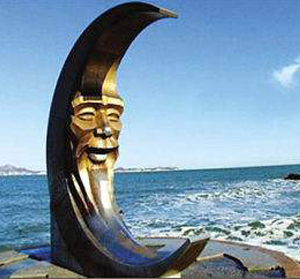 3) Many people influence and help me: The master- especially Master Sun, Coach Meng. Students: especially older students like Darko, Marvin, Adeline, Yann,… but also Vinayak, Alex, Phi, Sanjay, Pedram, Leo, Remo,… The working staff& translators! 4) Training: I really liked the training!I really liked the schedule of the week’s training! 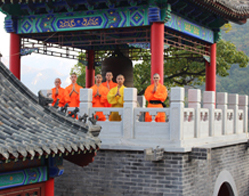 I would have enjoyed it even more if there would be more forms classes in Shaolin. Masters: I am a big fan of Master Sun& Master Guo.The food (vegetarian) was great, I loved it!!! THANK YOU FOR THESE 3 MONTHS.